A few weeks ago, I said that I would get back to my music links and I gave you JJ Cale earlier this week. I wanted to continue by mentioning the best concert I attended in the last three years or so (at least back to the Leonard Cohen night which I’ll leave for another time), KellyLee Evans. Thought I’d promote her a bit – click here to hear this exceptional performer. So genuine, so generous, so much fun, so talented. If you ever get a chance to see her live at a jazz festival near you – don’t miss it. A disclaimer – she gave me a hug at her concert! Now to the White Daily Slosh – with an interloping sparkler. My first brush with Lailey was hearing about it from Arlene. She had attended a cooking class at Kiss the Cook and Tanya Lailey (and I may have the first name wrong) poured their wines while Chris Squires hammed it up and made something spectacular, as always. So, I made it a point to get myself to Niagara and see what the fuss was about. I did, and it has remained one of my always-go-to wineries in Niagara-on-the-Lake. I even make sure to recommend it to people who ask me what wineries to drop in on. The people are great, it’s more like a cellar door than many of the others – informal, understated. The wines are some of the most consistent performers year-in-year-out (for me the pinots, cab blends and chardonnays). They have mid-term cellaring potential in many cases (we still have a 2008 Brickyard Chardonnay that’s got some time to go, I suspect). They also try innovative things like using Canadian oak to age their pinots. So, if you’re heading to Niagara-on-the-Lake to catch some wineries, dinner and a play, drop in to Lailey along the Niagara Parkway. Say, hi from me, someone that they have never heard of. 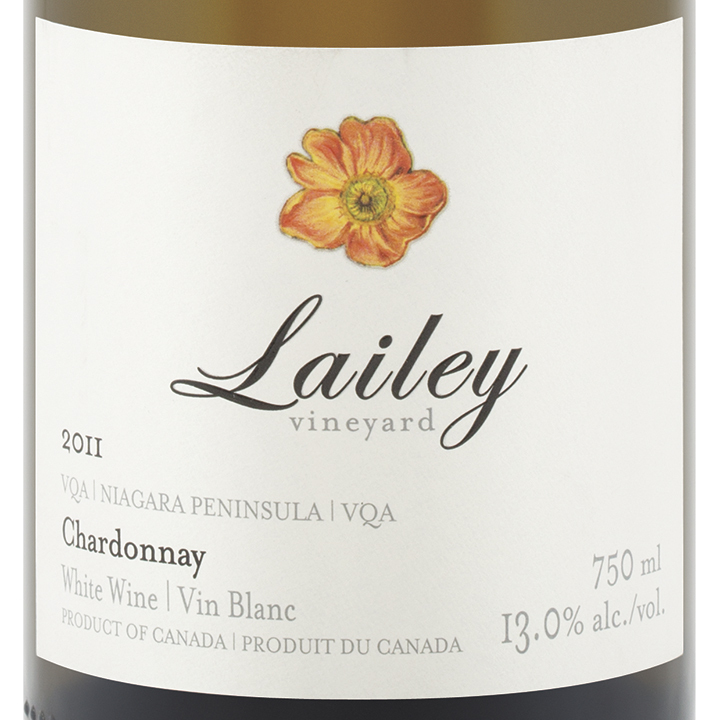 This week, the 2011 Lailey Chardonnay #193482 $19.95 graces our shelves. I’m not sure it isn’t always there but I guess the LCBO has taken some time to highlight it – good thing. This chardonnay has some acidity to carry what the Vintages Panel calls ‘ripeness’. I’m not sure I understand that term as I taste the wine itself. It seems like it’s trying to be Californian (a bit buttery) but knows it’s really cool climate and doesn’t give in to the temptation of being all about the fruit (more stony and appley, which is a fruit, I admit). I think just the right balance to please the big chard hounds but subtle and structured enough to please the rest of us. Simple. Nice finish too. Now, when wine wankers (apologies to the real Wine Wankers) talk about terroirs they many times mention the soils of Santorini and Assyrtiko wines. To quote Wine & Spirits magazine – “Santorini is a rugged, sun-baked half-ring of tufa – the remains of a volcano responsible for one of the largest eruptions in the history of the earth”. Now admit it, none of us knows what tufa really is (Hell, spellchecker says it isn’t a word) – but I think we get the gist. If you’ve been, and I see a few nods out there, you’ll agree that Santorini is one of the most spectacular places on this earth. For the grapes, the vines are trained in a tight circle on the ground and it’s hard to believe that they could manage to survive let alone provide any fruit clusters. So, from this stark and challenging climate – you get a wine that sings to us about its home. Sounding a bit philosophical here but then again, I’ve had two glasses of Aglianico and if I want to philosophize and cry a little, I will. 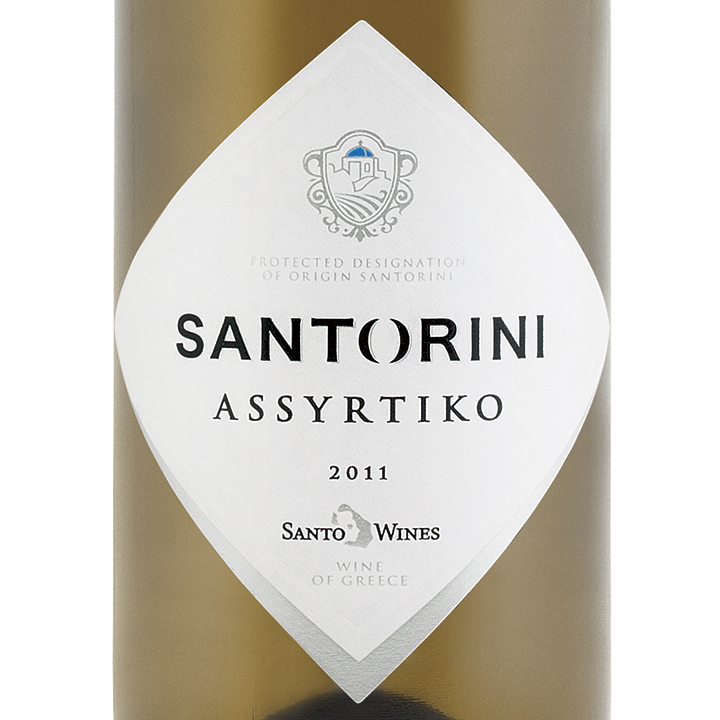 2011 Santo Assyrtiko #627760 $16.95 – get it every year – with memories of overlooking the cauldera – minerally, but with loads of fruit and flavour. Bigger than I remember most Assyrtikos to be. It is a foundational hot weather wine. Serve cold with seafood, simple tomatoes and eggplant and/or saganaki – OPA! A wine that I’m going to pick up but haven’t had is the 2011 Finca la Emperatriz Viura #342766 $15.95. I have had only a handful of Viura wines. But have had the same grape under it’s French name, Macabeo, in white wines from the Roussillon area. It’s light, can be fruity and usually dry and crisp. Why don’t we all enjoy a bottle and talk amongst ourselves next week? Sometimes, I hear people say that they have a ‘go to’ wine. When pressed, it sounds more like the only wine. Is it because it’s safe? Hell, all wine is safe! Now, in our house, I have to make sure that there’s some oaky chardonnay hiding somewhere in a cool spot. But, it isn’t always the same label. So, when I heard about a Kim Crawford Sauvignon Blanc fixation, I felt compelled to respond and provide some type of gooseberry Nicoderm to wean this person from her addiction. I mean Kim might be her entry level drug but she needs to move on! I thought it best to just try sauvignon blanc from someone else. 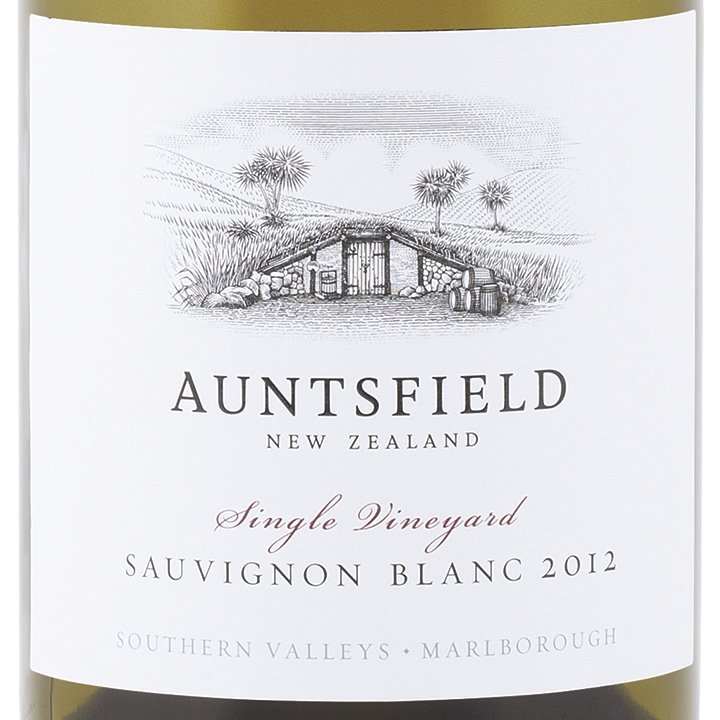 So, let’s start with one of my favourite, usually available, kiwi sauvignon blancs – 2012 Auntsfield Single Vineyard Sauvignon Blanc #663286 $19.95. This is such a complete wine. It’s pretty dramatic in the glass, swirling around and providing great aromas of citrus and gooseberry – maybe a little tropical thing too. Full in your mouth and what I’ve come to know as New Zealand’s stamp of freshness and flavour – too good. But, I discovered someone who might be better equipped to tell her about New Zealand wines and that’s a blog called What’s In The Glass Tonight. I’ve provided a link here to her great blog and review of Marlborough wineries. I’d think that most of us are ambivalent towards prosecco. It’s alright and suits a situation – but we can live with it or without it – no biggee. 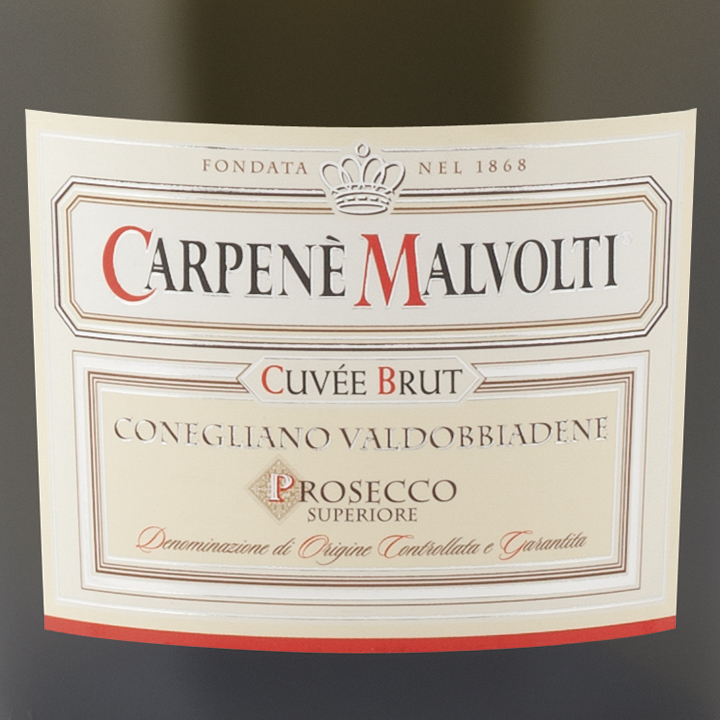 The first time that I had a prosecco that was more than that was when I visited Jennifer and Andrew and he served Carpenè Malvolti Cuvée Brut Conegliano Valdobbiadene Prosecco Superiore #727438 $15.95. This is a dry prosecco. Now, by that I mean – dry. But that doesn’t mean that it’s uninteresting. I’d say that it brings enough soft flesh (or stone) fruit to keep you quaffing. The biggest compliment I can bestow is that it’s a two glass Prosecco. Just a shout out to JJ Cale fans – he will be missed. Click on pic for a great rendition of one of my favourites. Love it! Now to wine – just poured a little something for the writing grind. I’ve been asked why I seem to recommend wines on some arcane and unusual schedule rather than just speak about what I’m drinking. So, a primer for those non-Ontario residents. Every two weeks our beloved Liquor Control Board of Ontario (the LCBO, the mother ship, but more importantly – the place everyone goes for boxes when they’re moving) puts together a ‘special’ release of wines that they’ve carefully selected for the season, etc. They print a truly beautiful and informative brochure with reviews, stories and a theme for the release. Since the inception of the release approach, the average price per bottle has risen substantially and it is shamelessly an attempt to upsell gullible Ontarians. Hand up – guilty – I’m gullible – it works flawlessly in my house. My reviews are based upon these releases and are an effort to pique readers’ interest in certain wines with the ultimate goal of uncontrolled spending on wine and immense gratitude, in the form of gifts to me for my astute observations. The first part kind of works in the case of my closest friends and I feel like I don’t have a problem any more than they do; the second goal not so much. This week’s release focuses on wines that score high with the critics – both high priced ones and those to which we’re more likely to gravitate. If I get to it before Friday, I’ll post for Splurge wines on some of the expensive ones that merit a look. I am nothing if not predictable – well, and undisciplined, compulsive, narcissistic, and frankly over-thinking every aspect of my life – including the preceding analysis. So on the issue of predictability, I’m recommending a Côtes du Rhône – 2011 Perrin Pevre Blanche Cairanne Côtes du Rhône-Villages #650960 $17.95. This is a wine from the famous Famille Perrin. This Cairanne I find to be très solid. Flabbé comme le plonk? Non! Recent vintages in the Southern Rhone have been exceedingly good. This does nothing to dispel that. Grenache et Syrah, full of the smells and tastes of the area – scrubbiness (they call it garrigue), herbal on the nose but more serious in the mouth. A cacophony of flavours – just kidding but it is a mouthful and I had trouble not checking too many flavours off on my tasting notes. Similar to when someone at a tasting suggests cinnamon, then everyone smells it. I was kind of suggesting too much to myself. Leads me to think that the wine could use some time to grow up and sort itself out a bit. If you really want to know about this wine there’s a discussion of the wine in English and a great video en francais on the Famille Perrin website. A friend recently bought a bunch of Rhone wine and I know that he’d like this one on the balcony with a cigar, which is his style. 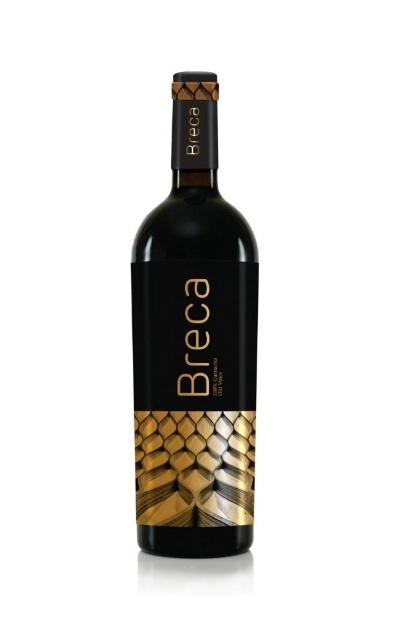 This release features a whole flight of new high scoring Spanish wines but I have only tried the one – 2010 Breca Old Vines Garnacha #329086 $19.95. Robert Parker says that “it may be the most amazing wine I have ever tasted at this price in over three decades.” This roughly translated means that it will be gobbled up if you wait until after noon on Saturday. So, check the inventory via the link to see what store you need to raid – or call to reserve like I will. I love wines from Catalonia – have recommended them with much acceptance by my peeps. This one is a lot more evolved than some of the similarly priced wines from there. It carries the minerality that you might expect but also swirls of black fruits and although Parker says aromas of “lavender’, it’s more fennel to me. But, he’s the expert – so lavender it is. There are times for serious wines and this is one of them – times, that is. I see that this month’s Wine Enthusiast has an article on zinfandel and on the cover an Amador County Zin – Easton (which I recommended a few months back). I love Amador zinfandels! This week the 2008 Villa Mt. 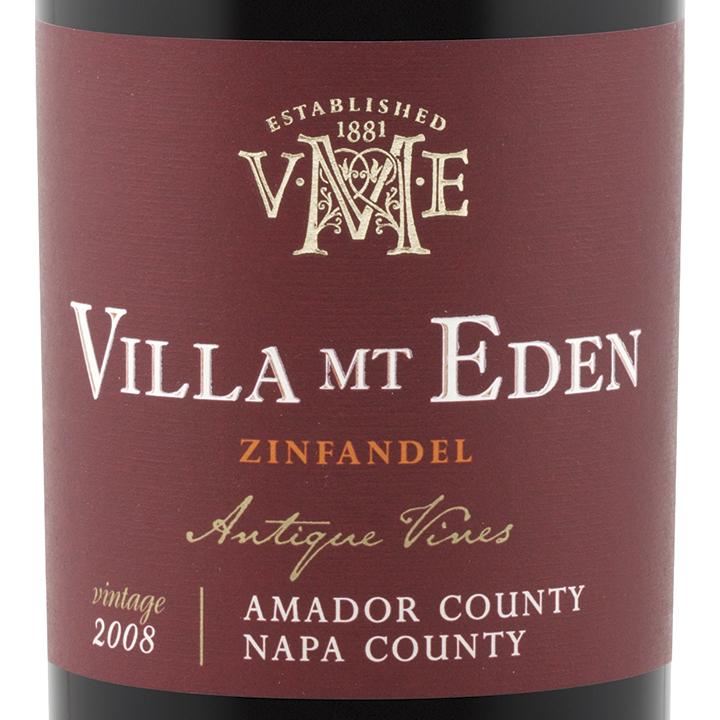 Eden Antique Vines Grand Reserve Zinfandel #256719 $19.95 represents a blend of Amador County and Napa fruit. Can we talk? I find that zinfandels can sometimes be a bit………..disorganized and/or flabby. They’re good but maybe because of the higher alcohol, extracted fruit – too full-bodied and just too much – could be better is all I’m saying. The sometimes knock on California wine by critics is that it is just too big and extracted – no subtleties – no balance (and there definitely are a lot like that). This one, perhaps because of the old vines used (Amador County has some of the oldest vines in the state) or the cooler nights, is spicy, balanced and has enough acidity to carry all the alcohol and fruit. It’s a beaut! I know many of you used to zinfandel (the verb) a lot and have branched out or moved off this noble grape. Give this a try, if you don’t like it, put the cork back in and call me to come and get it. Perfect ribs wine, I’d think. Vegetarian? Grilled marinated portobellos with arugula salad (feta cheese), and fresh sliced field tomatoes. Vegan? Skip the cheese. Dumpster diver? Can’t help you there. In re-reading the post, I realize that I’ve had two of the Spanish wines that are highly rated including, the Breca above and the 2008 Bodegas del Abad Dom Bueno Mencia #291989 $15.95. After revisiting this, I’d say OK to leave in your basement, closet or whatever you tell friends is your wine cellar, wink, wink, nod, nod for awhile or have now with time to breathe in a decanter. I, myself am not afraid and like its darkness, size and depth of flavour – straight forward, not overly complicated now. I may have drank, drunk? drunken? 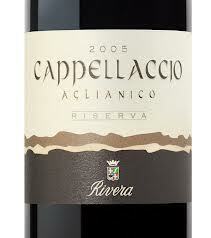 as much of the 2006 Rivera Cappallaccio Riserva Aglianico #305276 $17.95 as any other recommended red aside from the Beronia and the Le Ponnant. I recommended this wine pre-on-line-blog in my newsletter. It’s an aglianico that has an easy style but don’t be fooled it’s got complexity (not really sure I like that word – seems lazy). I mean that there’s a lot going on in the glass and when you swirl it in your mouth. Herbs, darker fruits and woodiness – but not oak – cedar? Then, fruit, leather and a good dose of tannin on the finish – perfect for pasta in tomato sauce or pizza! BTW, I poured a glass of Malivoire Ladybug Rosè at the top of the page – so that’s what I’m drinking, drank, drunken. Anyway, it’s finished. I’ll talk about it another time. This has a very McKenzie Brothers vibe but it does expose our prejudice against boxed wine and, the exorbitant mark up on Aussie wine in Ontario. Fun. Well Done! In one of Stuart’s first posts he told us that he likes wine because it transcends class. Over the weekend I discovered a fine example of just how much this is true. These guys are all class. Kudos to The Bogan’s Guide To Wine for giving a “goon bag” a good go. Enjoy! The truth in all this is that wine does not need to be pompous and it can be enjoyed by anyone however they like. I’m a fan of anyone who has passion for wine even if they don’t fully describe their love of wine in overly articulate and fancy terms. Last week, or was it the month before last, I’ve lost track, there was a viognier on the White Daily Slosh. It had a bit of Marsanne in it. 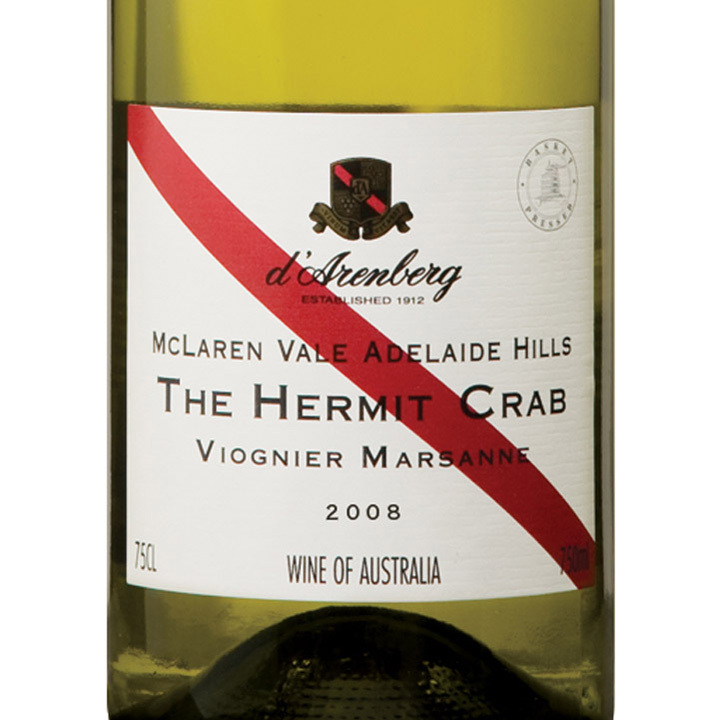 A reader and fellow blogger, shirazrat, told me that if I liked that one, there was a great representation of that blend made by d’Arenberg – The Hermit Crab. I tried to track down a few bottles then but it wasn’t around. But as if someone’s ears were burning, someone was reading our minds or fate stepped in or maybe just a strange coincidence, we have that very wine available starting Saturday – 2011 D’Arenberg The Hermit Crab Viognier/Marsanne #662775 $18.95. This is a very smelly wine – I mean good smelly – aromatic just like our friends on the Vintages panel suggest. I think that you’d like it, if you prefer a white that is a bit ‘funky and hedonistic’ as shirazrat suggested. Thanks for the tip! It can go solo quite comfortably or you might like some lighter fare that has some bite to go along with it. Staying down under, there’s a consistent performer that I always try to pick up. OK, was it only me who immediately went to the gutter? I’m waiting for some of you to catch up. What I meant is that there is a line of wines that I think seems to hit the QPR mark. That’s the ‘Y’ series wines from Yalumba. I like their Shiraz/Viognier blend, in particular. 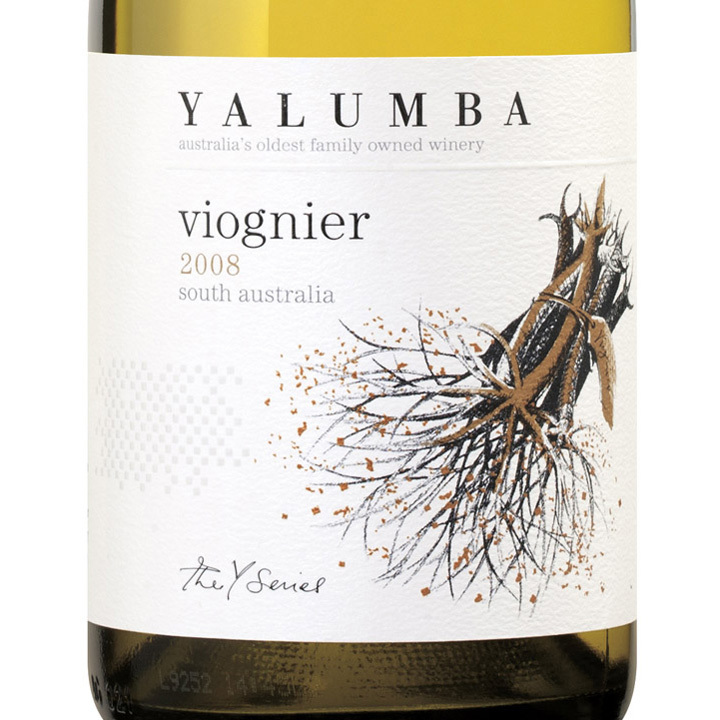 This week, there’s the 2012 Yalumba The Y Series Viognier #624501 $16.95. It’s pretty large without being overwhelming. The write up suggests that past vintages have been rather hedonistic but I didn’t find them too much so. I liked them. This one is fun not serious. Tropical fruit on the nose and predominant in the mouth. I think it would be OK with food, but I like it by itself with me alone in my office, considering yard chores, dinner preparation, my rapidly deteriorating golf game. You could have it as an alternative white choice at a stand around function. I think people would really appreciate the variety and a chance to try a blend that’s all too seldom offered. Get both of the whites above and try a viognier taste-off with friends. Even imaginary friends will do – works great for me. Let’s stay with the aromatic whites. I had to wait on this because I couldn’t get ahead of the curve and had to wait until today to taste. This week I penned a post about trouble. In it, I referenced the great marriage between Albariño and seafood. I think that has as much to do with why I like it as the wine on its own. 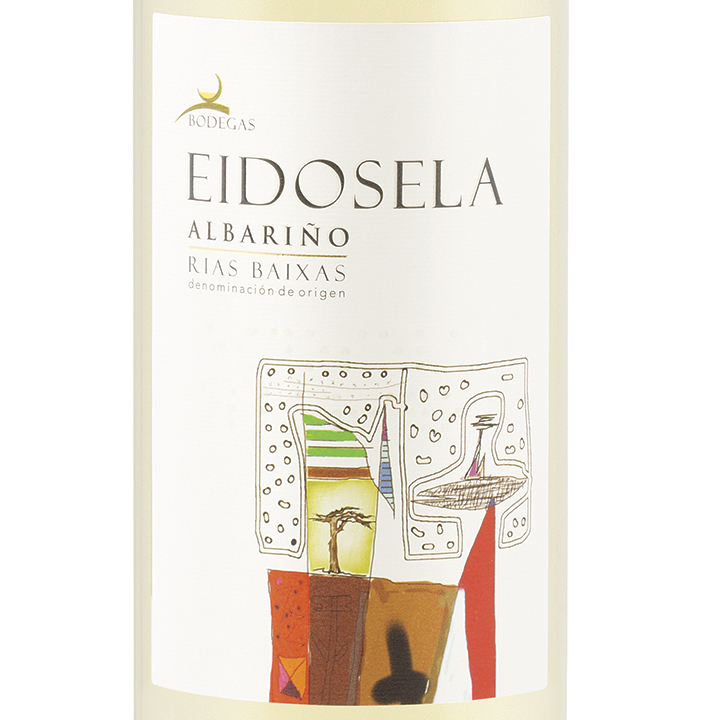 This week, there’s a 2011 Eidosela Albariño #336271 $13.95. Seafood – fried (less so), grilled (now we’re getting there), or raw (bingo!) and you get the match for this wine. Oysters, scallops, clams, sashimi, I bet even ceviche would ‘like’ albariño on Facebook. This one has nice acidity, it’s crisp, spicy and still has room left for some lemon and stone fruit. Karen MacNeill in her great book, The Wine Bible says that albariño wines are “not as zaftig as chardonnay…..the best of them as light as gossamer on the palate”. So, if it’s zaftig you’re after, look elsewhere. It’s from Rias Baixas which is a Spanish DO right above Portugal and south of France by the Atlantic. In completing my deep research for this piece, I read in Wikipedia that the vines are trained on granite posts to avoid damage due to humidity. Hope to see one day. From a label perspective, this post may have two of the coolest labels – Eidosela and Y Viognier. Nice to see them among all the Skinny Girls, Red Legs, Naked whatevers, and animal caricatures. I can’t afford Mouton Rothschild but that doesn’t mean that my labels can’t be art. We’re off to Italy in September and visiting Rome (another church? ), Apulia (I’m stuffed), and the Amalfi coast (are we at the bottom of the hill yet?). To say I can’t wait would be an understatement. This week’s release features some wines from these areas so I thought I would whet my appetite pre-journey. The first selection is a repeat recommendation but different vintage. The 2006 was one upon which I received great feedback from Oliver and Joanne. 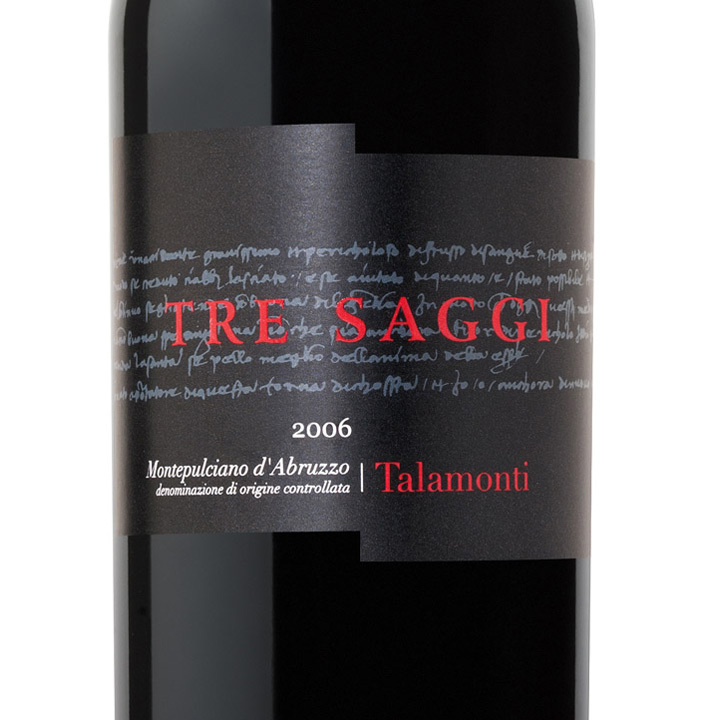 This is the 2008 Talamonti Tre Saggi Montepuliciano D’Abruzzo #204016 $15.95. The release booklet informs me that Tre Saggi means ‘three wisemen’. I will have to brush up on my Italian because I intuitively thought that it meant, ‘very’ something or other. I guess growing up Anglophone in a bilingual country where French is the other language on the cereal box, you superimpose French, in this case ‘tres’, on to other languages. I mean it was always flacons de mais, wasn’t it? Well, Tre Saggi does mean very something; very ‘interesting’. This medium-bodied wine carries so much character in the way of spiciness, smelly stuff like leather and oakiness (both in the air and on the tongue), that I wouldn’t think it could be anything but Italian. Picture sitting mid-afternoon (and I know I’ve used this before – but indulge me) at a road side café outside Locorotondo, with a glass of this, fresh bread, olive oil and burrata cheese, watching as Asia Argento (picture at top or, fill in suitable Italian male), herds her sheep past your table ……. Let’s just say that this wine tells us where it’s from and what you should do with it – sip out back with friends, under the night sky and partake of tomato-based dishes, pasta, and loads of bread. Too late for the Perseid meteor shower? Get some patio lanterns. When I took written and spoken French through to the end of secondary school, I was bewildered by how we were taught that the London in England was Londres en francais. Not sure how a formal name changes when you translate. But, then again Anglophones talk about Japan not Nippon. I am William never Guillaume. Dufton, never Duftonne or Duffus, regardless of language or what you think about me. So, what’s with Puglia? It’s got to be an anglification of Apulia. Or, is it just a variation on a name? Or, do I have it backwards? Please weigh in because I’m not Googling it. Regardless of how you say it, we’re off to Apuila with the first recommendation. My experience with aglianico wines has been one where they are pretty tannic when young but round out or smooth out a bit with age. However, I’m told that characteristic is less prevalent when the grape is grown in Apulia – probably the heat. At least that’s what the write up says. The 2011 Girolamo Capo di Gallo Aglianico #268367 $18.95 – is an earthy, I still think uncharacteristically smooth country wine with black fruit (blackberries, dark currants), mushrooms. If you are worried that all Italian wines are harsh (like I indicated above), thin, or meh, stop it. No, I mean STOP IT! Start your wine change now. This is smooth, rich, scrubby – Apulia – perfect! But wait, to quote Ron Popeil, there’s more. I can’t quite figure this wine’s origin and nomenclature out. It’s made by Girolamo (for me that means Sicily – Etna Rosso, etc.). It is called Capo di Gallo (I believe, a nature preserve in Sicily) but it’s from Apulia? Confused? Interested in some Sonoma Brut from Virginia? Anyone help me? I had to think about what other Southern Italian wine to talk about. There is a Salice Salentino (2009 Taurino Riserva Salice Salentino Rosso #177527 $14.95) that deserves some love. 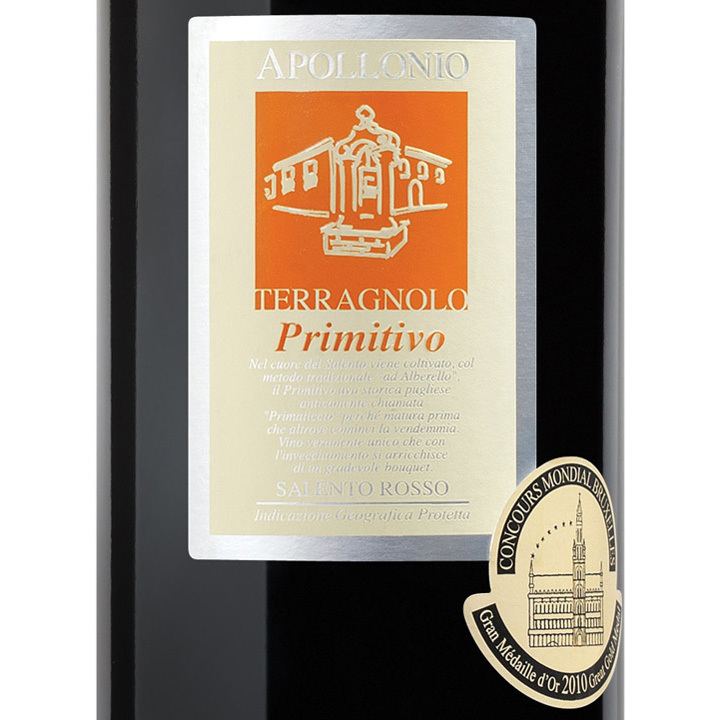 But, the one I landed on was the 2007 Apollonio Terragnolo Primitivo #211813 $18.95. This is made using the primitivo grape that apparently has some DNA attachment to the zindandel varietal. I’ve never really experienced a kinship between these grapes on the sniff, taste and swallow. They don’t seem to have much in common once vinified IMO. This wine packs a punch – but a nice punch. Think Mohammed Ali – not Mike Tyson. It is not fruit focused at all but nuanced with earth, non-fat double latte (OK, just kidding – too precise), but really some kind of reminiscence of coffee at the top of the glass, prunish in the fruit department. I think that if you like full-bodied Old World wine, you’ll love this. I can’t wait to wander southern Italy and get my hands on some of their great local wines. If anyone out there has some suggestions for wineries in Apulia or Campania, please let me know. Put your hand up if you are a Rioja fan. Those that didn’t put there hands up have to get a wine-loving life. This is a benchmark, iconic, must drink, oh so fine wine region. I have recommended so many from here. One of my favourite and our most available bodegas is Beronia. 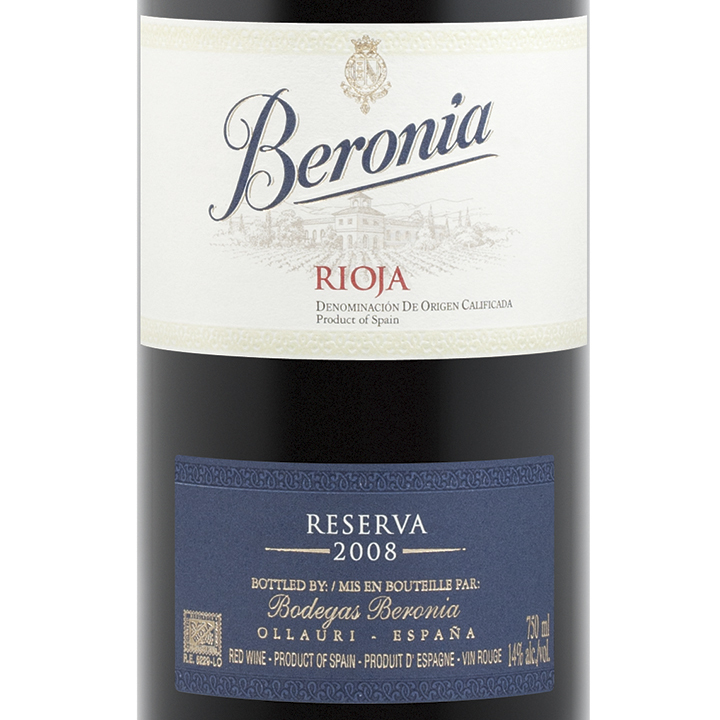 I recommended this very wine in January.This week, the 2008 Beronia Reserva #050203 $18.95 hits the shelves again. Grab a few! I read the write up and have to agree with Neil McLennan (www.westernlivingmagazine.com) in saying that “if you’re new to Rioja, this is a great place to start…” This is neither classic Rioja or in line with a newer more international take although a bit oakier than some classic Riojas. This is a mellow wine that is medium-bodied with loads of cherries and some vanilla in the swish. Tannins evident but not overpowering. Just a great stand and sip wine or maybe serve with some seafood tapas or meat on the plancha. Those of you that have had these products before are already checking inventory (I can see you in the Romper Room Magic Mirror) so the rest of you better get on it. I’m always singing the praises of Washington reds – particularly Syrah and Cabernet Sauvignon. So good! In Ontario, we don’t get access to some of the smaller wineries. Hell, we don’t get significant access to any of the smaller wineries – where many of the finer, more true to Washington wines are to be found. Can we say Privatize Please? The largest winery conglomerate in Washington and one of the biggest in the whole U.S. of A. is Chateau Ste. Michelle. Now, I’d rather be talking about Dunham Cellars but there are about 100 bottles of their wines in the whole province. Shout out to Dunham’s importer – try harder! So, we are left to grab wines from larger distributors and producers – not that there is anything wrong with that. After all, I’m supposed to be a label agnostic. This week, one of the Ch. Ste. Michelle stable, Columbia Crest, is featured. 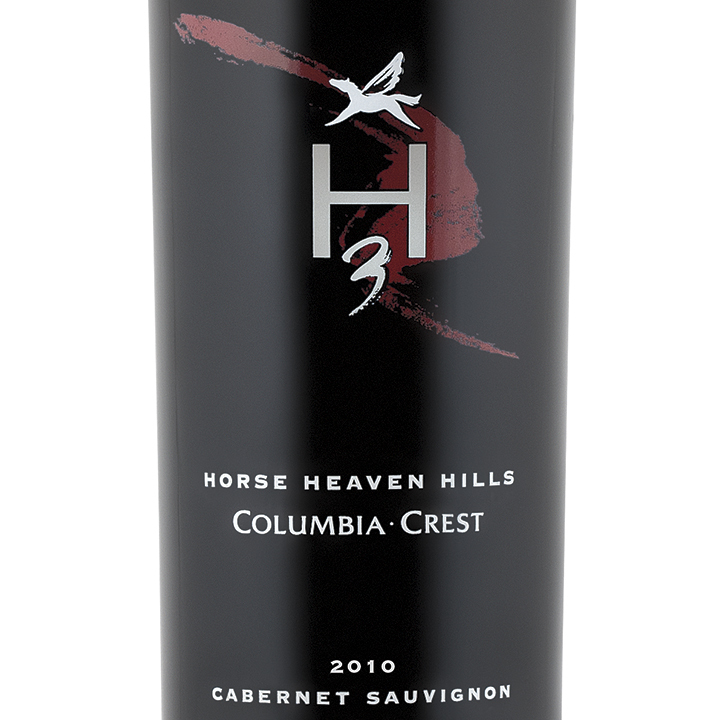 I’ve talked about the H3 wines before – even this very wine and vintage – 2010 Columbia Crest H3 Cabernet Sauvignon #210047 $19.95. This is a wine for those that really dig that house red style that’s popular with California reds – a bit bigger, a touch of sweetness that isn’t syrupy but smooth and some oak. It’s very good, isn’t it? This wine has some pop on the finish, great red fruits like cherries and, uncharacteristically, strawberries (but this might have been brought on by the feeling of shame for not writing about a strawberry nuanced rosé for Wine Blogging Wednesdays this week) on the sniff, all muddled delightfully together in your mouth with interesting darker things like chocolate. It’s pretty neat and the year since I last had it has smoothed it out. Good value red! I know there are lots of McManis cab fans out there as it’s a popular value? Ontario sip. Take a flyer on the H3. 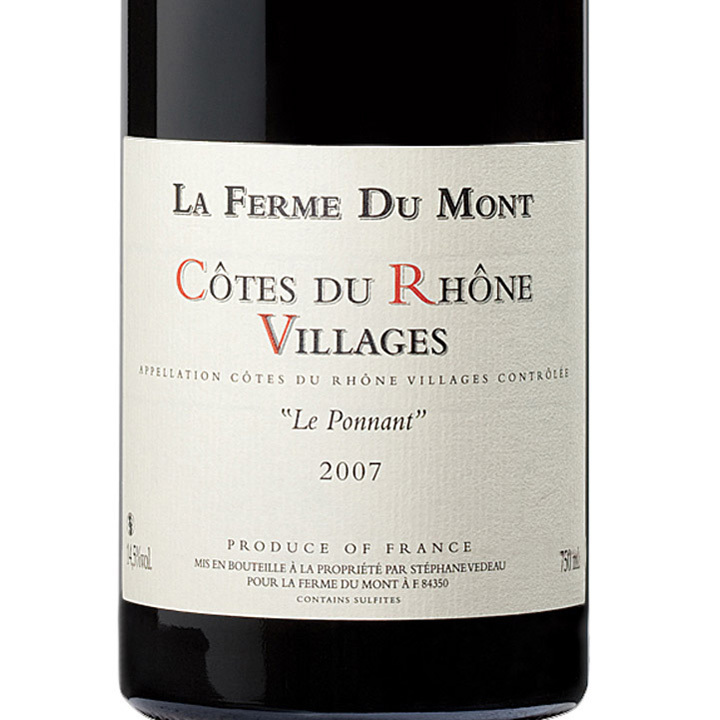 A couple months back, I recommended a great Rhone wine – La Ferme du Mont Le Ponnat Cotes du Rhones-Villages #171371 $17.00 – Subsequently, I recommended this wine to a friend who loves a Beaujolais style red as his ‘go to’ wine, thinking that he could branch out. He’s now aggressively working through a bunch of Le Ponnant that he bought. He loves it! I do too. If you are having a barbecue with friends or you just drink alone but deny it to others, pick up more than a single bottle. You have to trust someone with wine recommendations. Trust me. At least this once. Last month, a challenge was issued by The Drunken Cyclist to write a post on a theme – Transportation. My response is here. This month the winner of last month’s challenge, The Armchair Sommelier, another blogger that I follow, asked everyone to post on the theme – Trouble. As the other wine bloggers did, I had ‘trouble’, pardon the pun, thinking about wine as anything other than a blessing. What trouble could there be aside from overindulgence? Well, I came up with some of my all too regular troubles. From the outside, it seems so awesome (as Chris Farley would say) to decide that you want to explore wines, try to become knowledgeable so as to better enjoy what you already love – and get to write about it. What could be better than reading about wine, visiting wineries, tasting (drinking) wines and writing about your experience as a sideline J-O-B? Sounds pretty trouble free doesn’t it? What could you possibly write about that connects trouble to this wine life? Aside from those nasty liver enzyme levels? The other day, I read SavorEncyclopedia’s trouble theme and it tweaked something that has spelled trouble for me. Bill – “Sure, no problem. What’s the menu?” he says confidently as he opens Google. Bill – “Are you sh****ing me?” Well, I don’t actually say that out loud. But, I think it. 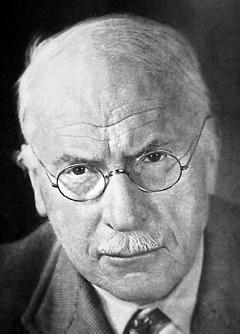 We now have fully engaged Jungian Theory Trouble. Where to start? Deep breath, I use a technique honed over many years of pairing wine to food, I close my eyes and just think about the food – scallops and I think…………..wait for it…………… a crisp white wine like an Albariño from Rías Baixas – I can taste it and it is good, very good. But then again, the scallops have a middle-eastern quality. Nix the Albariño and insert a Sancerre? Riesling? Yes, the Riesling will go beautifully with the spiced scallops and citrus salad, I bet, hope, am moderately confident about. And, don’t sommeliers usually recommend Riesling when they’re lazy or tired or confused (like me) or it brilliantly matches the dish as in this case? OK, Riesling it is! That’s just the appetizers! Porcini dusted beef tenderloin? Deep breath………….. You see what trouble you can get in as a wine ‘guy’ with Jungian sized insecurities? Trouble # 2 This time it’s me having the dinner party for friends that I love but who are not hesitant to evaluate my cooking and wine pairing skills. I know they do it behind my back but it still hurts. Let’s say we’re serving the beef tenderloin above. In this quagmire of potential failure, comes the first major anxiety producing question: Can I serve the 1990 Château LaGrange yet? I read in one of my many over-priced subscriptions that the ’90 is good between 2009 and the predicted end of time but somehow, I doubt that it will have survived the day known by one and all as, “The Sweltering Summer Day That The Electricity Died.” Meaning: wine storage failed and it’s stewed already. Sob. Get over it; it’s now between the pristine 2000 Château Malescot St.-Exupery and a New World pretender, 2006 Caymus. It’s a high class problem to have admittedly. If the Margaux is good – it’s too good for these guys (sorry to those friends reading this and thinking that I’m talking about them – I am). I know they love Caymus but that would be too easy and I have a reputation – founded on Old World wines – so the Margaux it is. Trouble over? Never. Question: Just let it breathe or decant? And, for how long? Can I mess this up too? When in doubt, an expert like me decants for about ……..however long I remember to let it decant and always in a nice Reidel decanter. Oh, it’s impressive alright. But, it’s been a struggle to get there and I haven’t even mentioned the dessert course. Dessert? Arghh! Yes, it is a tough life, troublesome, trying to live up to others’ and more importantly your own expectations. And heaven knows I don’t want to make mistakes – but I will. 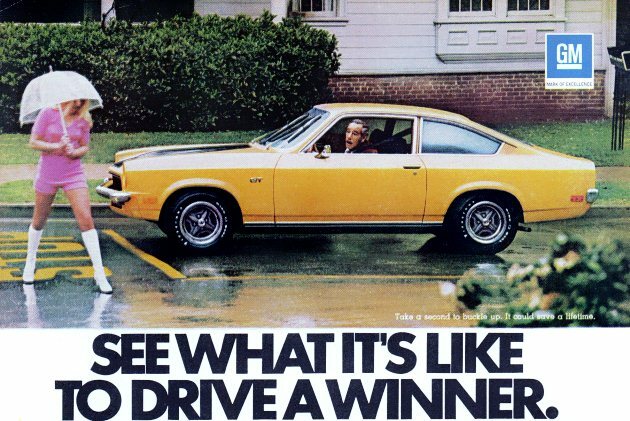 However, failure teaches you more than success, my father regularly told me and I know he was right because I bought a used 1974 Vega. It paired nicely with a full glass of regret and a case of motor oil! I haven’t been keeping up on my splurge recommendations. Choosing instead to just drink them. Plus, my ramblings take my eye off the ball too. This week’s release features some great Bordeaux and, although it’s in my splurge category, they are bargains. Aside for a few finds like the Chateau Lyonnat a few weeks back, Bordeaux breaks the $20 barrier with ease and frequency if you’re looking tasty and accessible. And, if you’re talking age-worthy and “I think I’ve actually heard of that one”, you need to check your credit limit before swiping. The place to look sometimes are the lesser known areas like Canon-Fronsac, Cotes de Castillon, Lalande-de-Pomerol and Fronsac like this one and that below. 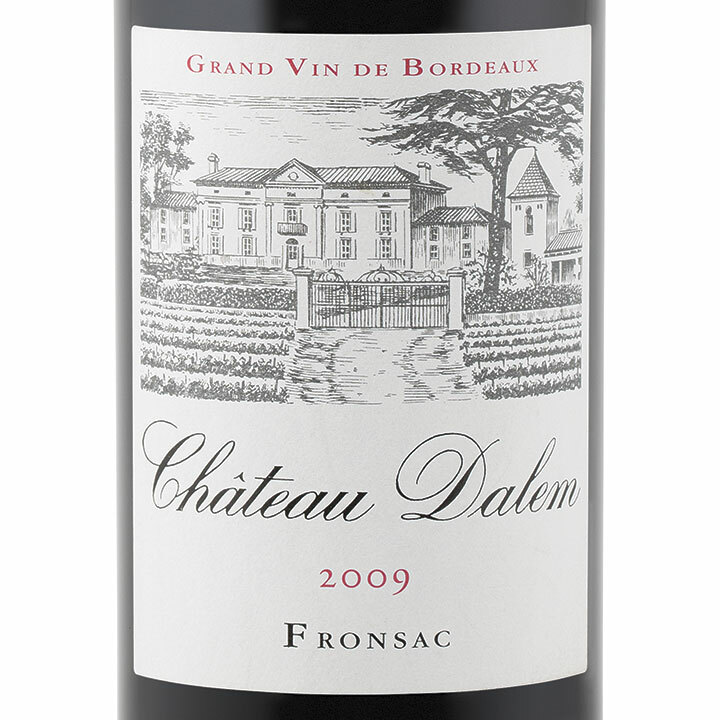 This Bordeaux could be consumed now after a little air – 2009 Château Dalem #191213 $33.85. I hadn’t heard of this chateau before and was interested in the price point. It’s a surprisingly complex wine for this price – with pipe smoke and briary things happening. If you want to impress friends for a dinner party, get one of these, let it breathe or decant for a few hours and serve with a ‘real’ meal (whatever that means for you). Now, I mean real. Meat, vegetables and starch with maybe some gravy or sauce of some kind. So, really whatever that means for ME. Another Bordeaux that’s a splurge but paradoxically a good buy is the 2009 Château La Vieille Cure #193151 #36.85. I love this chateau. Have a handful of 2005’s and 2008’s. Haven’t had the 2009 on offer but I’m thinking that it would provide good value and be consistent with the ones in my basement. They are medium bodied, dark fruit tinged Bordeaux with lots of interest in the way of herbal things like mushrooms and dirt. Well, not real dirt but a nose that reminds you of dirt – say earthy and musty in a good way. It’s a wine that’s part of the In-Store Discovery series. So, check availability before wandering off. A few months ago, I wrote about my visit to Megalomaniac Wines. I touted the 2010 Megalomanic BigMouth Merlot #067645 $24.95 by them and I’ll let you read the reviews and description of this interesting winery. This wine is available in numbers this week. And a reminder. The inventory number and price are those for the LCBO. If you want to read about the wine (as in a review) and/or you are in Ontario and want to know where there is inventory, just click on the inventory number and price which should be underlined signifying a link. Then drop down the city menu and find a store near you (as they say in the commercials). In fact, any underlined stuff on my blog probably is a link. Sometimes pictures are links too as in the blog about Diane Lane’s movie. There, one week and I’ve mentioned Diane Lane twice. Last year, I recommended a Muscadet that even Zara H. liked. In fact, she bought a bunch. Hell, I bought a few myself. Now, I see that it has returned this weekend – 2011 Michel Delhommeau Cuvée Harmonie Sur Lie Muscadet Sevre-et-Maine #164264 $13.95. Now, not everyone out there has tried Muscadet. It’s not a name loosely taken from the Dumas book. Or am I the only one that can’t get that homonymish thing out of my mind? 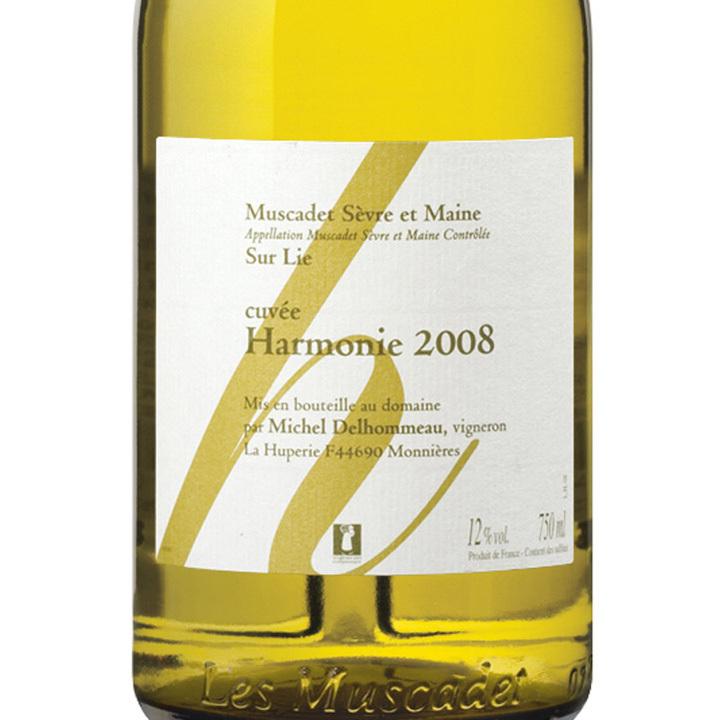 Little lesson – Muscadet is made from the melon de Bourgogne grape. It’s usually pretty non-descript – dry, light and great with seafood. It’s also very plentiful. Read: it can be nonsense. This one, having been left sur lie or on the lees for a bit, however, is fuller in the mouth. It’s tangy, almost salty with great acidity on the finish. Perfect for warm weather, patios, arugula salad with shaved parmesan and a spritz of olive oil. Get a bottle or two and serve mid-afternoon. Those of you at Inverhuron for the coming week (and you know who you are), should get a couple of these for hot afternoon gulping. And, you pinot grigio hawks who really need a break from the same old should get this too – or are you one and the same? Lately, it seems that every restaurant carries some version of New Zealand’s Kim Crawford line – pinot, sauvignon blanc primarily. 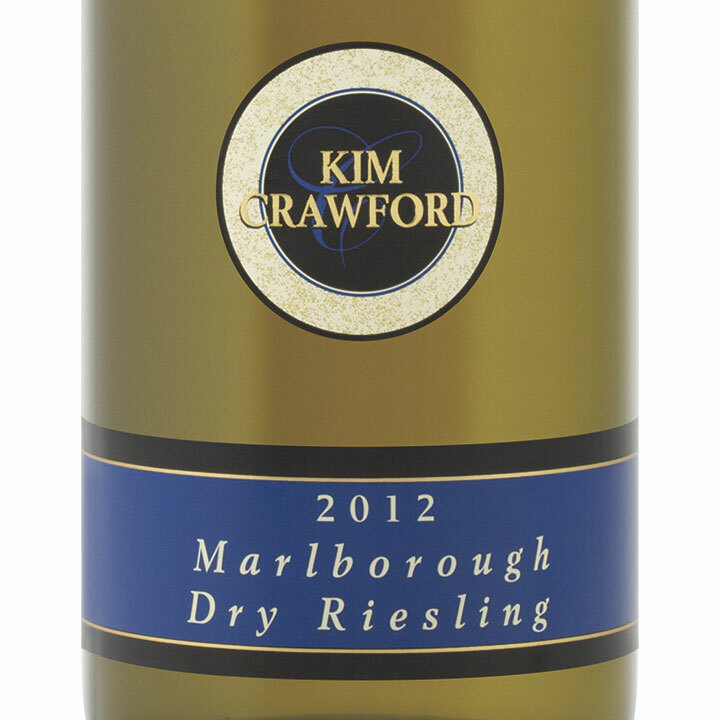 But, this week, there’s the riesling – 2012 Kim Crawford Dry Reisling #626408 $19.95. This is first and foremost a mouth waterer of a wine – citrus followed by citrus with a hint of soft flesh fruit, followed by citrus. It’s a perfect food wine, as is a lot of riesling, with maybe matches of something with a kick, like Asian fare. This doesn’t have the depth of the German versions of this grape but it’s fun and isn’t that what wine is supposed to be about? Ever seen the movie, Under the Tuscan Sun? Women nod while guys pretend not to remember. Come on, fellows, it had Diane Lane (one of my favs) in it! Now, they remember. Well, I’m told that it was filmed at and around Cortona in Eastern Tuscany. Cortona is steep – as in the streets are steep, surrounded by the ubiquitous vineyards of that area. This week, there’s a syrah from this town that shouldn’t be missed and the price is not, steep that is – 2011 Castagnino Cortona Syrah #182253 $19.95. I rambled a few months back about a friend who stated that he didn’t quite like syrah. I’m betting he’ll like this regardless of what the label says. This is dark in flavour profile with some spice and a great bite in the mouth. Which sounds backward as your mouth is supposed to do the biting. But, I bet you get it. I’m betting also that there isn’t any oak used – it’s clean and fresh. And, if you enjoy the elegant style that non-traditional grapes can bring from Tuscany, I bet you love it. Needs food – charred remains – which are plentiful this time of year. Or, plan a meal as seen in the movie link. Don’t I always talk about Washington reds? Well, when I can. 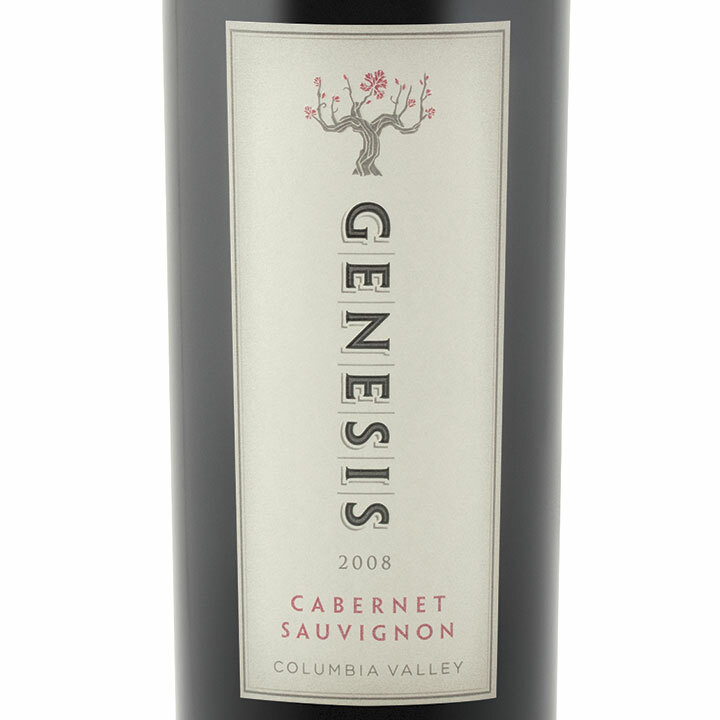 This week, there’s a wine from a great value producer, Hogue, in the Columbia Valley – 2008 Genesis Cabernet Sauvignon #275123 $18.95. 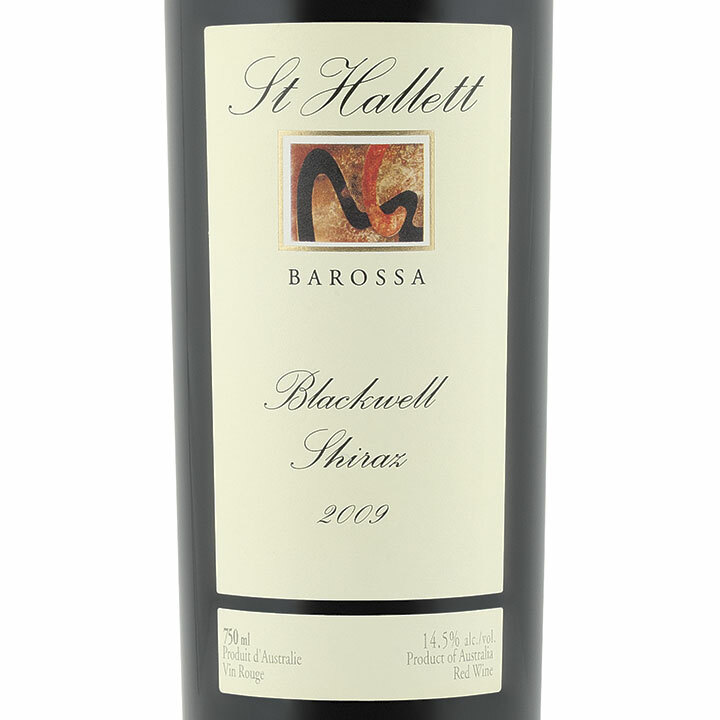 This is a great balanced red with the typical aromas of black currant and a nice sneaky contribution from some oak in your swish. It’s a wine for everyone and at a good price point. As above would do great alongside some burnt meat but I think it would prove to be a good standing around wine too; discussing senate reform, Ontario by-election results, never ending sewer line construction in London Old North. Another bottle, please! It’s been awhile since we had a non-malbec Argentinean wine on these pages. But, I love Bonarda. 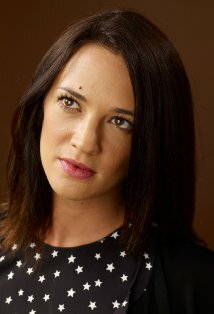 That doesn’t sound right to those who think Bonarda is a Spanish movie starlet. Bonarda is a grape that comes originally from Piedmont, I believe, but is cultivated successfully in Argentina now. The flavour profiles from the two areas differ IMHO; in that the Argentinean wines are a lot fuller – someone out there who better understands what impacts this might comment below. 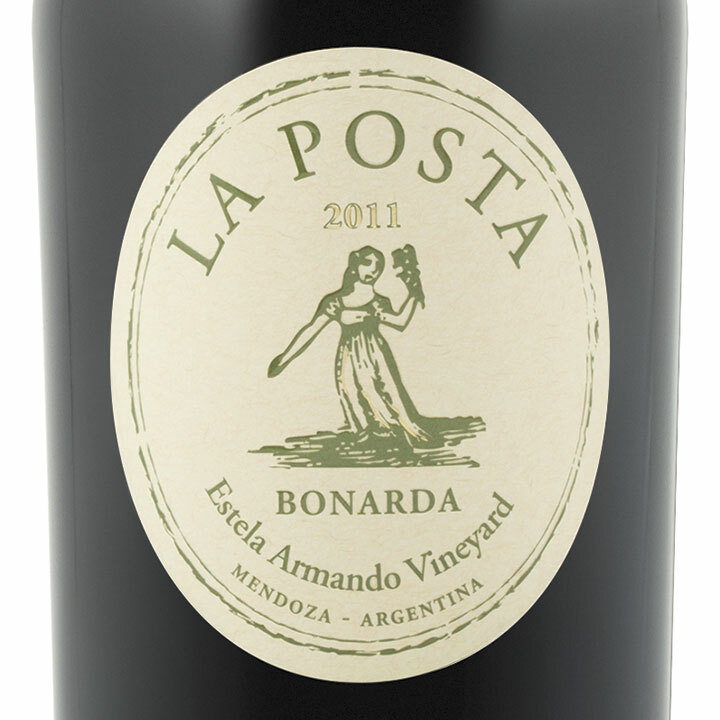 The shelves this week are groaning under the weight of 2011 La Posta Estala Armando Vineyard Bonarda #261586 $14.95. Now, don’t be scared off by the term “fuller”. It ain’t heavy, it’s my..…….Bonarda. I meant a more substantial experience. It’s balanced, full-bodied and pretty smooth considering that there are tannins present and acidity lingering. Like the syrah above, it has a dark fruit thing and if we were doing a tasting, I’d say one of the first things people would notice was the chocolate on the finish. I have featured the La Posta stable many times with their single vineyard malbecs. They have a way of creating a unique wine at a price point that we need to see more of. I like this stuff! And, at $14.95, you need to give it some love. Is it my turn to share a little story with the group? At my first wine tasting – yes the one where the room did do a bit of tilting and Bill learned the “Lesson of Tasting Less Or Spitting More”, I had my first Coonawarra cabernet sauvignon. I’m thinking it was Majella or Penley Reserve or a Parker. But, memory can fail at my age and I wasn’t at my note keeping best. In any event, I do remember that it was beautiful, strangely different than others I’d had at that time and not unreasonably priced. It left me forever searching for Coonawarra Cabernet Sauvignon. I like typing it, saying it …..Coo-na-war-ra, and most of all drinking it. 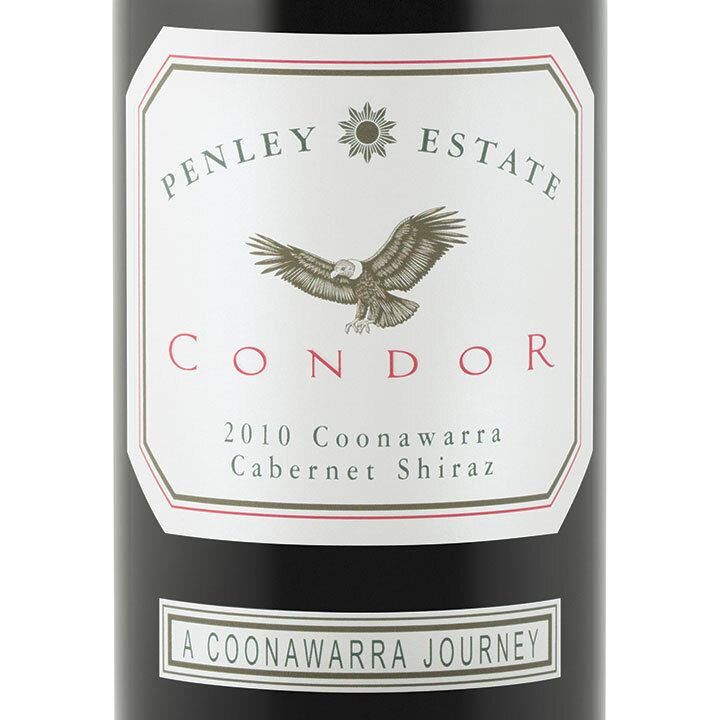 This release features the entry level Penley cab – 2010 Penley Estate Condor Cabernet Sauvignon #731893 $19.95. This has lots going on both as you swirl and swish. Fruits like blackberries. Well, not like blackberries but blackberries indeed. And, and this is what I appreciate the most, a finish that is different as you proceed through your glass. I know, as air gets to the wine, there are changes. But, somehow this is about you not the wine. This is a great barbecue wine, could be standing around wine, but most importantly, is a Bill-must-buy wine.